First the headline on Drudge Report yesterday warned, “US Military Closing Airspace around LAX” or something dramatic. I can’t remember his exact words but next time i’ll try to remember to screenshot his headline. I guess So Cal residents were “freaking out” last night as they were about to be Nuked or invaded by Aliens or suffer some other Hollywood Blockbuster worthy event as CNN reports here. Reports flooded twitter, facebook and YouTube that there was a big bright blue UFO exploding over Los Angeles last night like in this video below. The US Navy explanation seems to check out. Other bloggers have screenshots of marinetraffic.com last night which show the entire area between Pt Mugu and Santa Cruz Island offshore blocked off by the US Navy and the USS Independence Combat Littoral Ship patrolling the area. 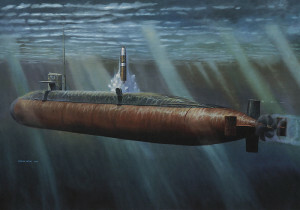 The USS Kentucky was underwater and the launch of the ICBM probably would have been much more impressive from the bridge of the Independence than any YouTube video. This entry was posted in Aviation, Global News, Military Aviation and tagged ICBM, Los Angeles, UFOs on November 8, 2015 by mikeuslan.